Sacred Seals are a fourth kind of skill that work alongside A, B, and C skills, and they can be set in the S skill slot. A seal can enhance an ally’s stats, give an ally the ability to strengthen allies or weaken foes, and more. 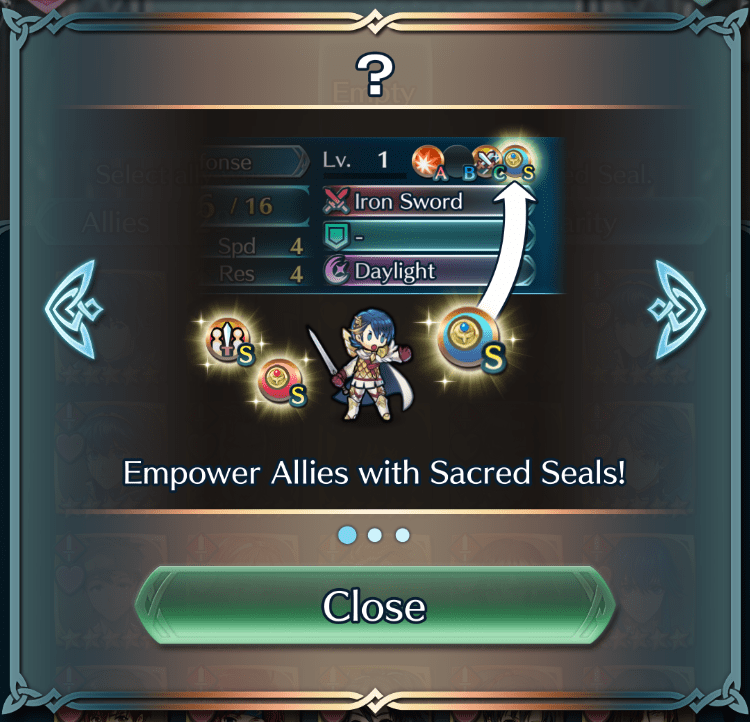 If you clear “Awakening Ancient Power,” the Intermission chapter that appears after Chapter 13 of Book I in the main story, you’ll unlock the ability to create and enhance Sacred Seals. 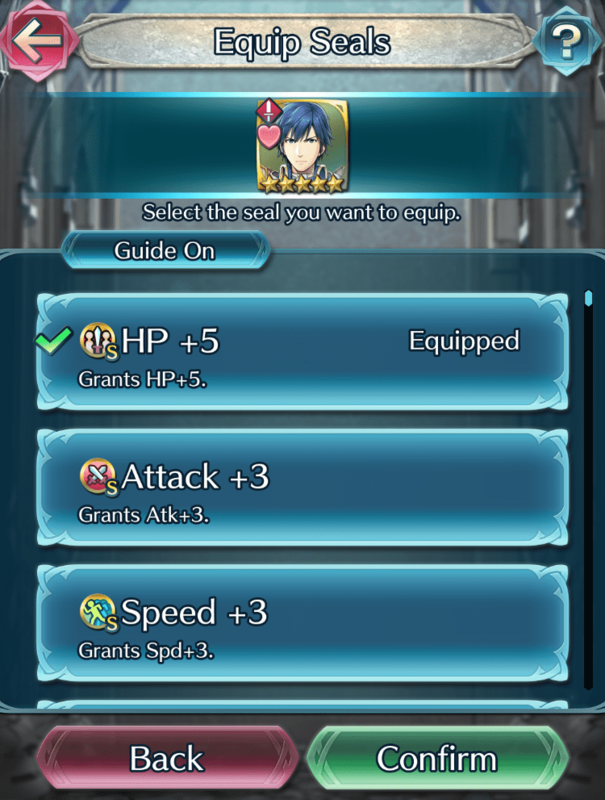 Sacred Seals can be equipped and swapped between any Heroes, with the exception of those Sacred Seals that are limited to specific ally types.